It is said that behind every successful man is a great woman. But did you know that behind every successful General there must also be good and capable lieutenants? General Cleaner had a solid back-up team! That is why General Cleaner was super-successful because not only did he have the great Bola Rina beside (not behind) him, he also had a crack team of dirt-destroyers. 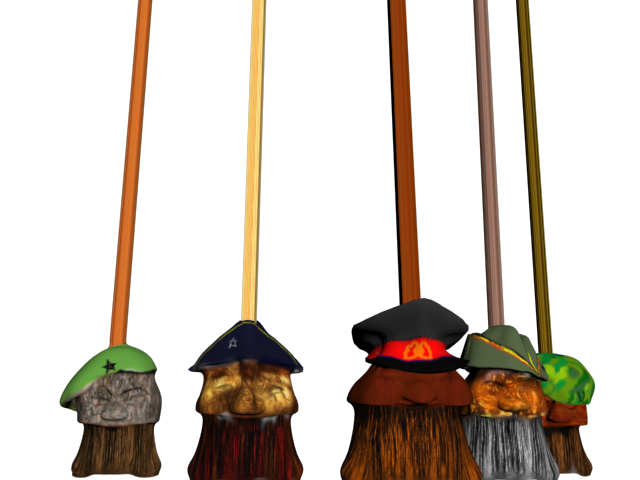 HotRake, Scouros, Captain d'Vrooom, Bojungles, Broomando, Dirty Hari, Whisxwish, and marching at their head the very dignified OberSweeper.